It is Mega Sale time at Kroger! Right now, you can grab 10 select products from Kroger and you will instantly receive $5 off your total purchase! 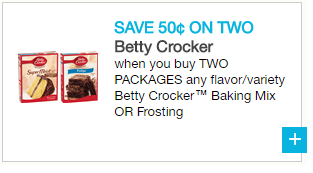 That makes these Betty Crocker Cake or Brownie mixes just $.79 each. 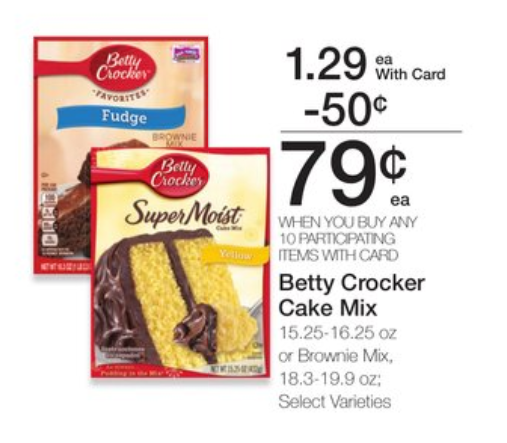 Stack the mega sale deal with the below printable coupon and you can stock up on cake/brownie mix for just $.54 a box!